It is so hard to bring an imaginary item to the real world. If your fame is true then your dream can be true at any cost. If you are a game lover and more precisely if you love the famous Watch Dogs game, then you can wear its main character coat. 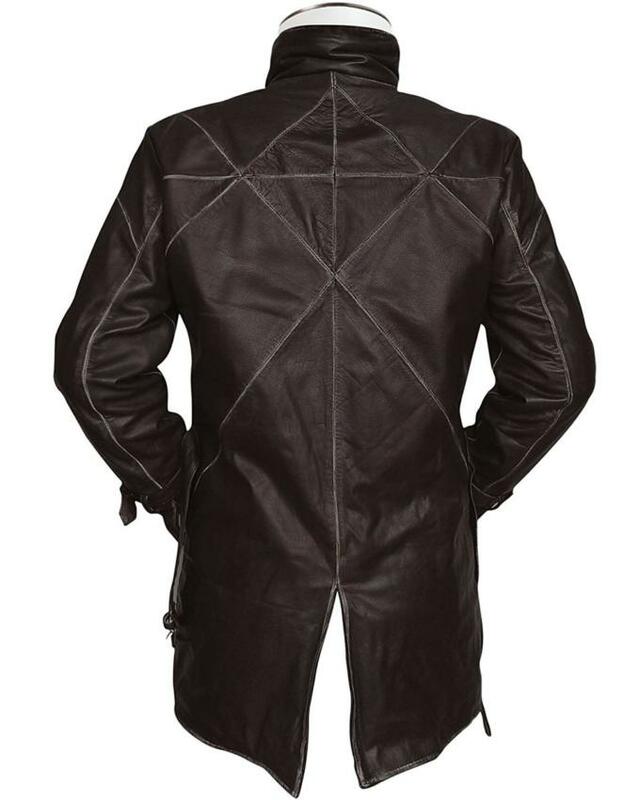 Leather Jacket Black has made this tremendous gaming coat for you which is furnished with quality real leather which means that it is going to stay long as your favorite outfit. Moreover, this coat contains the viscose lining interior so you could feel more comfortable while wearing it. Watch Dogs Gaming Coat has so attractive appearance mainly enhanced with belt strap closure front which is inspired from the real gaming coat. Not only this, but it also contains full-length sleeves with belted cuffs so you could fix them as per your ease. 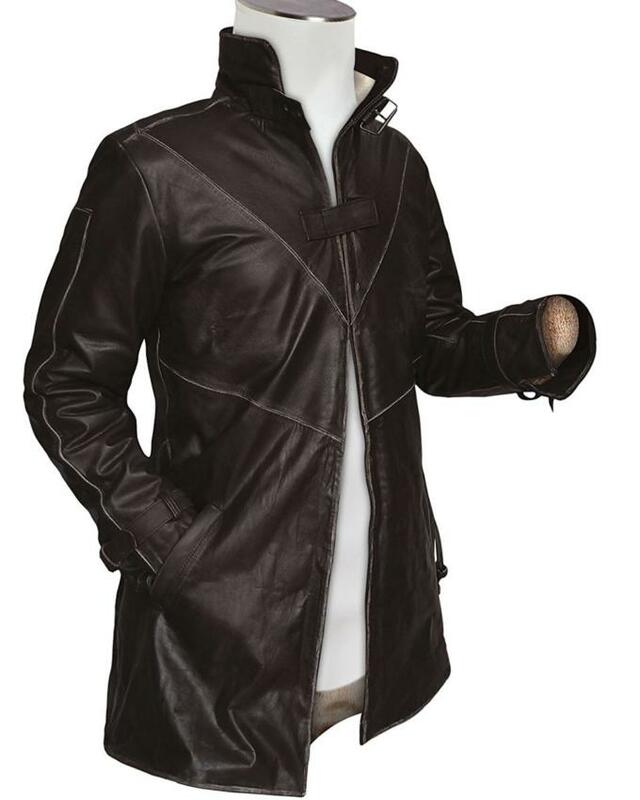 Watch Dogs Gaming Coat has four pockets, where two placed inside the coat and two pockets are outside.